By putting greater emphasis on focused therapy and walk‑in counseling, along with the availability of an after-hours crisis support hotline, Cougar Health Services has significantly reduced the size of waiting lists even as the number of students seeking help has steadily climbed. Last fall, in fact, the number of students waiting for services by semester’s end had dropped to zero and the average time spent on wait lists was slashed nearly 75 percent following implementation of a new service model by WSU’s Counseling and Psychological Services unit. 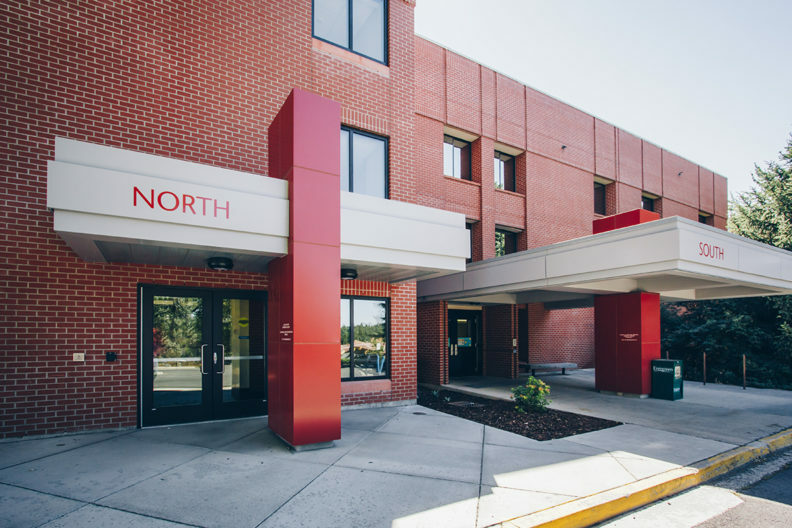 On the Pullman campus alone, the number of students seeking mental health services has grown from 1,689 during the 2014‑15 academic year to 1,957 last year. The increase mirrors national trends. As demand and the size of waiting lists grew, WSU evaluated different service models and in the 2016‑17 academic year implemented a new approach that included greater emphasis on a brief, focused individual counseling model designed to help students resolve or effectively manage specific challenges or problems. What health officials had found while studying usage patterns was that, historically, counseling goals for most students were able to be met with short-term therapy, which is considered six or fewer sessions. By the end of fall semester 2017, the average time spent on waiting lists for mental health services had shrunk from 37 days to just nine. The drive to improve is continuing. For example, walk‑in priority is given to students depending on their level of distress, which is why Cougar Health urges those seeking help to let staff know if they are in crisis. The Counseling and Psychological Services team also has made adjustments to maximize staff availability for walk‑in sessions, which so far this semester has led to a 23 percent reduction in the number of students being asked to return at a later date compared to the same period last year. Strategies for improving access to mental health care services has become a national conversation, as providers look for ways to keep up with growing need. While evidence indicates that students are coming to college with more complex mental health needs, efforts to reduce stigma and increase help-seeking has also contributed to greater demand. Colleges and universities around the country are working to address these challenges. Enhancing education and prevention efforts is also a critical component of the efforts. At WSU, help is available in various forms systemwide and Cougar Health has formed partnerships with campus and community organizations in efforts to extend overall reach. It typically takes about 90 minutes to complete the initial paperwork and attend a counseling session. If schedules are full, students may be asked to come back later — unless they are in crisis and have communicated that to staff. Counseling services include focused individual or couples therapy, group therapy or workshops, biofeedback and psychological assessments. The clinic is located in the Washington Building on the southern end of the Pullman campus, and is open Monday through Friday. Crisis services also are available after 5 p.m., during weekends and during university holidays at 509‑335‑2159. Report concerns about others whose behavior has raised questions about their emotional, psychological, physical or academic well‑being. Counseling Services, 509‑546‑9238 to schedule an appointment and for general information. The Clark County Crisis Line is 360‑696‑9560. Counseling Services, 509‑372‑7153. Professional staff also is available in the Office of Student Affairs, Floyd 263, during regular business hours. Counseling Services, 509‑358‑7740, to make an appointment or to speak with a counselor right away during regular business hours. The after-hours number is 509‑368‑6500. Use the WSU 24‑Hour Line, 509‑334‑1133, and consider reviewing the Student CARE Committee’s resource guide. Counseling services, 509‑494‑7925. After-hours line is 509‑368‑6500.